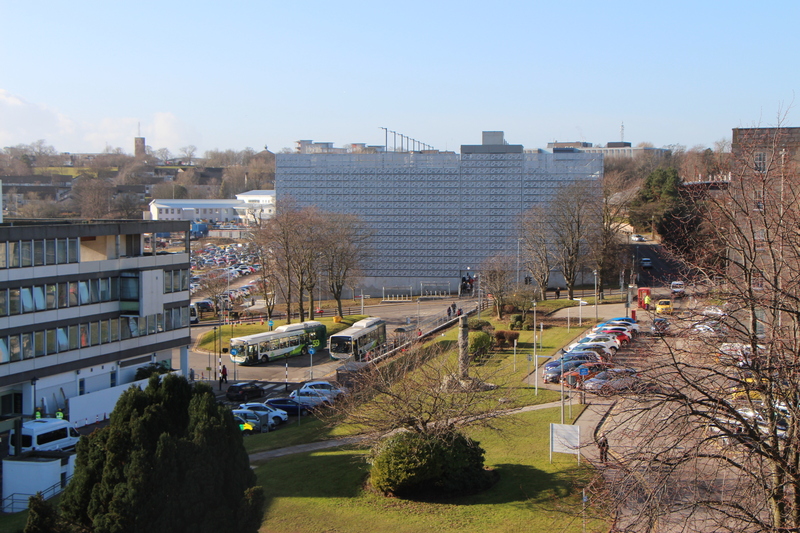 The Lady Helen Parking Centre at Aberdeen Royal Infirmary (ARI) officially opened in February 2018 increasing the parking capacity at Foresterhill by almost 50%. One year on, the 1100-space free-to-use car park has massively relieved the parking pressure felt by the thousands of people driving to the site daily. Lady Wood, a Trustee of The Wood Foundation, was keen that the Foundation improve the experience of visiting the hospital without public funds being diverted from frontline services. The Wood Foundation worked alongside NHS Grampian and committed £10.7m to design and build a fit-for-purpose parking facility at the North-east’s biggest and busiest medical hub. The Wood Foundation has received many notes of thanks from the general public and Lady Wood is heartened by its impact and grateful to those who have taken the time to write, email or send a card. The car park, which sits directly across from the main entrance to Foresterhill, has 13 floors of free parking. The Wood Foundation was established in 2007 by Sir Ian Wood and his immediate families. As well as economic development in the North-east, it also focusses on developing young people in Scotland and transforming livelihoods through the tea industry in East Africa.